and I am sharing the adventures that brought happiness for the past 12 months. Topping the list is the adventures in the last frontier in the Philippines. Snorkeling and the island hopping adventures in El Nido, Palawan are the epitome of fun in the Philippines. Snorkeling is best enjoyed in Shimizu Island, Papaya Island, Tapyutan Island, and Secret Beach. El Nido offers a variety of island hopping packages at an affordable price. The island hopping tours range from Tours A-D. You can even combine these packages in order to maximize cost and time doing your island hopping. The island hopping experience will not be complete without experiencing the Small Lagoon and Big Lagoon of Tour A and the Hidden Beach and Secret Beach of Tour C. Best time to go to El Nido is during summer from March to June. El Nido is known for its pristine waters, white sand beaches and marine wildlife. But only a few people know that it is also a site for biking. Going to Nagkalit-Kalit Waterfalls, Nacpan Beach, and Calitang Twin Beach is a must for bikers. Enjoy the 42-kilometers of mountain biking fun in El Nido! The island is a sight to behold. A photographer's dream. A place to enjoy tranquil life. The island has no electricity, barely a telecommunication signal and no source of water supply. 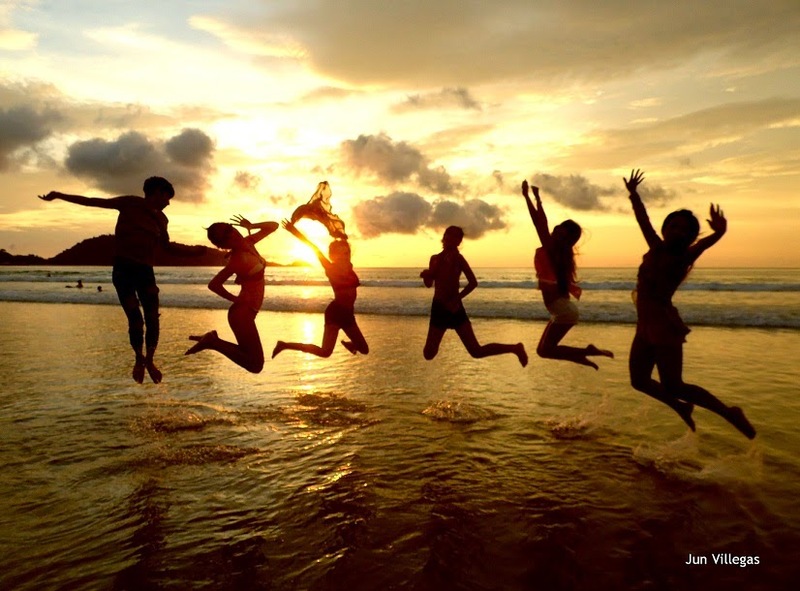 Jomalig is the place where you want to take a respite, camp and simply enjoy nature. With its mile-long white sand beach, rural life and pristine waters, Jomalig is a must for one's bucket list of travel destination in the Philippines. Every year I go to Sagada. But this year's travel is different. I went to Sagada on a summer (usually December). The experience was different. The weather may not be that cold but the sea of clouds would surely be a jaw-dropping experience for a traveler to behold! It was my second time to go to Coron, Palawan. But the place has never ceased to capture my affection for its tourist spots. The likes of Kayangan Lake, Barracuda Lake and Twin Lagoon are some of the best spots to visit. Enjoy the island experience in Malcapuya Island. 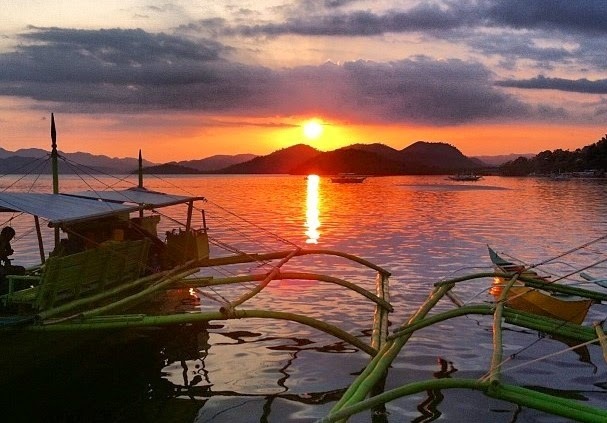 Or simply witness the sunset as it unfolds at the Coron Bay. Escape the hassles of the metro and simply live a simple life and be mesmerized with the sand ripples in Cagbalete Island. I made several hiking adventures in Mt. Talamitam, Mt. Batulao, Pangil, Laguna and in Rizal. The most memorable was the Buntot Palos hike with my fellow packers. Yes, dinner! Watching the sunset at Manila Bay and enjoying the cruise at Manila Bay with your loved one is simply exceptional! I am from Batangas and I am proud that finally our city has something different to offer. A tourist attraction to witness and this year was the inception of the annual event. In consonance with the aim of the University to develop further and produce outstanding teachers, the University has organized a series of seminars for its regular full-time teachers. And one of the said seminars is the so-called "Fontana seminar." The seminar is given to all regular full-time teachers of the University in eight (8) batches and I was luckily included in Batch 4 last July 24-27, 2014 at Fontana Leisure Parks and Casino, Clark Air Base, Pampanga. From SM North, Quezon City, a chartered bus brought us in a 2-hour ride to Fontana, Pampanga. Arriving at the venue, we started with Module 1 of the seminar. We were advised that there were a total of 7 modules that we were supposed to finish in three (3) days. We were grouped into 4 groups, namely: Red team, Blue team, Yellow team and our group, the Green Team.There were various activities during the seminar and honestly, I enjoyed it and learned a lot from the exercises and activities. We should have more of this kind of activities. It is very informative, refreshing and fun! After a productive and informative day, we were brought to our respective villas. There were a total of seven (7) persons in our villa. The villa was cozy and a refreshing sight after a day's work. But that day did not end at the villa. It was just the beginning of our adventure in Fontana. We decided to explore the outskirts of Fontana. There was no available mode of transport that day and we decided to walk! And with my co-teachers in FEU, we reached our destination after 10 minutes of brisk walking - The Olympic-size Swimming Pool of Fontana. It was even raining while we were taking our swim but we did not mind the weather that day. We were there to enjoy, relax and simply have fun! We stayed for two (2) hours and after the swim, we decided to go back to our villa. Early morning of day 2, Sir Jhe Pedregosa and I woke up early and jogged around Fontana. The jog was good for less than an hour and we headed back to the villa. We were usually picked-up around 8 am for our breakfast and the seminar would start past 9 am. But some of the participants usually walk as part of the morning exercise. After finishing Modules 4-7, we prepared for our cooking contest and went back to our villa. We prepared our desserts as part of the contest. While we were busy preparing our entry, I asked the permission of our group to visit the Fontana Water Fun. I needed to see and take pictures of it for this blog. After a quick stroll at the at the water park, I went to the Fontana Hot Spring and relaxed in its hot waters for 30 minutes. After the relaxation, I went back to the villa and helped my teammates finish our entry. Past 7 pm, we were able to finish preparing our entry and went to the convention center. After dinner, we enjoyed the night singing and dancing. Everybody enjoyed the night! Winners were announced on the last day and luckily, the Green Team and our villa received some of the awards. After 2 days of seminar, we imbibed among ourselves the culture of teaching and service. Camaraderie, unity, and teamwork were nurtured in our minds. But most of all the spirit of excellence in teaching was rediscovered and replanted. Thank you FEU for this experience! I make it a point twice every year to travel abroad. I usually travel March and October during the semestral breaks of my students. Blogging is not my full time job and I have to do my other passion and my full-time job in life which is teaching. Last year, I visited Singapore, Malaysia, Indonesia, Vietnam, Cambodia, Myanmar and Thailand. But there are places which left memories that linger in a traveler's mind. And here are some of those places that make me smile. Phuket, Thailand comes very close to my heart with all the majestic scenery, world-class beaches and unparalleled adventures only Phuket could offer. This November 2014 I decided to go back anew just to rekindle the memories I experienced in Phuket. Malaysia offers a variety of tourist spots but Genting Highlands tops my places to visit. I love the cable car ride going to the spot and once you are there you will surely enjoy the different attractions offered by the Highlands. Ho Chi Minh, Vietnam is a must-to-see spot if you are traveling in South East Asia. Known for offering the cheapest shopping goods only Vietnam can offer. It has its own unique ride called "Tuktuk" which tourists must try and a variety of river adventures that await foreigners. Siem Reap, Cambodia opens your eyes to ancient majestic temples such as Angkor Wat, Angkor Thom and Bahket Mountain. Considered as one of the best tourist spots in South East Asia, the early morning sunrise view of Angkor Wat will surely captivate your passion to travel in this ancient city. And finally, the South East Asian tour will not be complete without going to Singapore! The Marina Bay, Clarke Quay, Merlion, and Universal Studio Singapore (USS) are some of the best spots to visit while you are in Singapore. Enjoy the river cruise in Marina Bay and the world-class adventures in Sentosa!